“¿Cómo le puede ayudar? (How can I help you? )” asks Ángel Solís, age 22, to most anyone he meets. Whether speaking to a patient, team member, loved one, or stranger, he listens intently, as if each word spoken were the most important he’s heard all day. If he doesn’t know the answer, he finds out, taking each opportunity to learn more and develop as a person and practitioner. Recognizing his skill set and desire to help his people, GHF invited him to become a regular clinic team member. 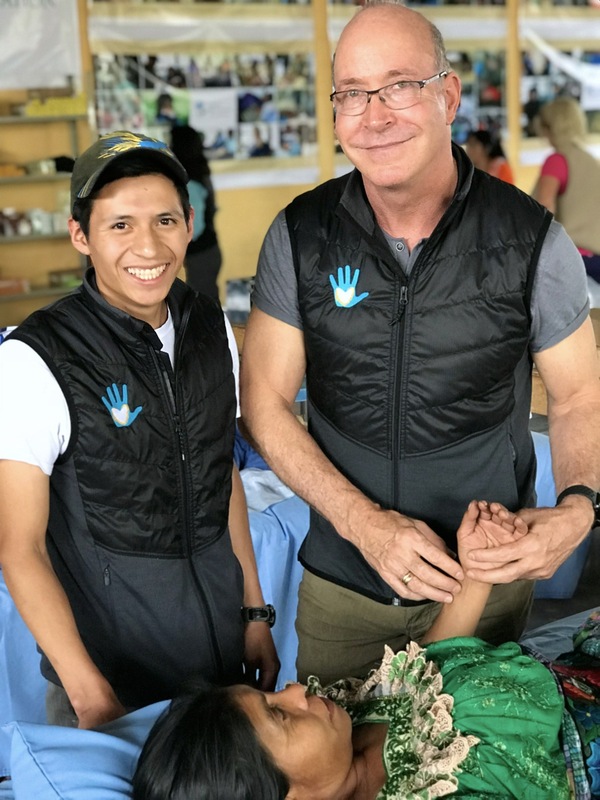 “Even as a chauffeur, Ángel would help out in the clinic,” says Dan Wunderlich, GHF Founder and Executive Director. “He takes initiative and thinks outside the box. His maturity is very impressive, especially for someone so young. He is always asking, ‘Can you teach me this? How can I learn more?’” Today, Ángel helps manage the efforts of more than thirty local health promoters. Last year, Ángel’s father passed around the time he started his first acupuncture program, not too long after his mother’s passing. Both died from cancer. “Quiero aprender más de las plantas medicinales y descubrir algo que puede ayudar a las personas que padecen cáncer. Por eso quisiera incluirlas en al continuidad de mis estudios. (I want to learn more about medicinal plants and to discover something that can help people with cancer. This is why I want to include them [plants] in my studies. )” His hope one day is to establish acupuncture as more of a mainstream healing modality in Quiché.